Are We Causing the Next Mass Extinction? 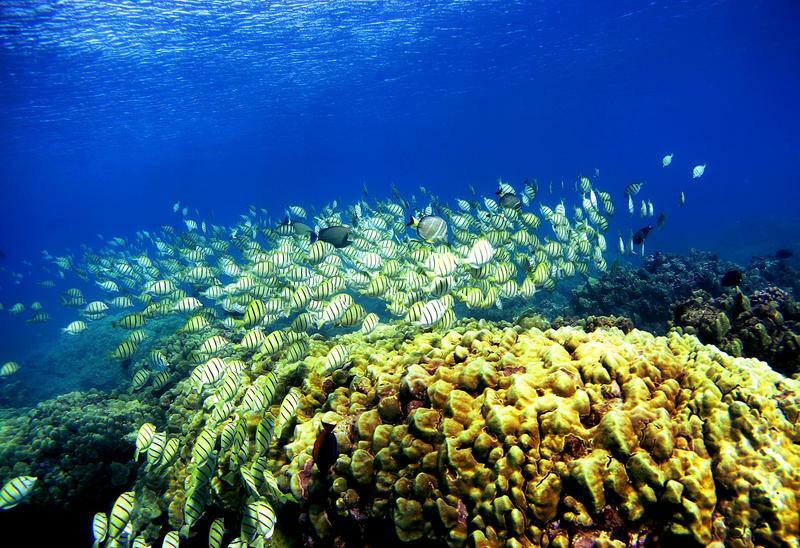 A school of manini fish pass over a coral reef at Hanauma Bay on January 15, 2005 in Honolulu, Hawaii. Many coral reefs are dying from water pollution.